"The article glosses over the difference between type 1 and type 2 diabetes. Between 5-10 percent of Americans have type 1 diabetes, which occurs when the body does not produce insulin. 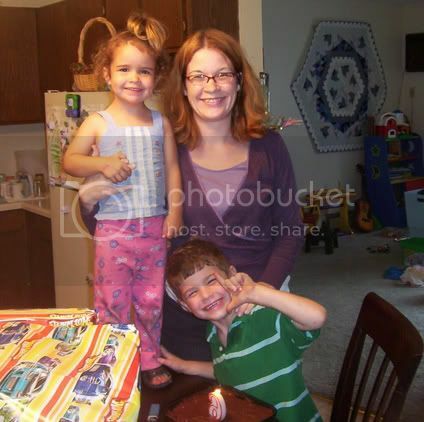 Patients with type 1 must take insulin for the rest of their lives in order to survive. Because it is an autoimmune disorder, type 1 diabetes is not preventable - an important distinction from type 2 diabetes." The Men's Health article very clearly stated that they were referring to type 2 diabetes. In fact, the article says "type 2 diabetes" throughout, unlike some articles in the press that are sometimes even reported verbatim at the ADA's own "In Diabetes Today" news page. There is no mention of type 1 diabetes anywhere in the Men's Health article, so you would really have to be illiterate to confuse the issue. The main issue taken by the ADA seems to be, however, the fact that the author is questioning the ADA's position on low-carb diets and highlights the fact that the ADA as an organization appears to selectively overlook data when that data conflicts with the ADA's overall position on a particular issue. For more specific references to this, please see the points highlighted in detail here. Personally, I find the entire debate over the Men's Health article very annoying, to the point of being stupid. Its ironic that the ADA even bothered responding to the Men's Health article and noted that "the article glosses over the difference between type 1 and type 2 diabetes ..." since the ADA is, in my opinion, perhaps the single worst offender of glossing over the differences between the two forms of diabetes. "It is now considered to be particularly important to move away from a system that appears to base the classification of the disease, in large part, on the type of pharmacological treatment used in its management toward a system based on disease etiology where possible." Does the name "type 1" classify the disease based on etiology? Certainly not. The ADA could have clarified the issue by formally renaming insulin-dependent diabetes as "immune-mediated diabetes" and type 2 diabetes as "insulin-resistance mediated diabetes," but has instead created even more confusion by giving them confusing type numbers instead of distinct names truly based on etiology. Other similar conditions do not have this problem. For example, although Ulcerative Colitis and Crohn's Disease are both inflamatory bowel diseases, few people ever confuse them as they routinely do with type 1 and type 2 diabetes because their names are very clear and distinct from one another. In May 2006, The New York Times highlighted the growing issue of confusion between type 1 and type 2 diabetes in its article "Beyond 'I'm a Diabetic,' Little Common Ground" calling attention to the fact that type 1 diabetes has achieved much more fund-raising success than type 2 diabetes, but also noting the growing resentment among many with type 1 from being seen by many as having a "lifestyle" disease which somehow could have been prevented by making better eating and exercise choices. I am firmly in the camp in favor or renaming type 1 and type 2 diabetes. As a type 1 patient myself, I grow tired of defending myself to idiots who believe that my condition was somehow self-inflicted because the ADA has created unnecessary confusion with type 2 diabetes rather than actually clarifying the distinction. We can really thank the ADA for helping to create this tremendous confusion with the 2003 "Report of the Expert Committee on the Diagnosis and Classification of Diabetes Mellitus" recommendations to the international diabetes community published in the ADA's Diabetes Care publication for complete details. Largely because of the ADA recommendations, the new names were adopted. 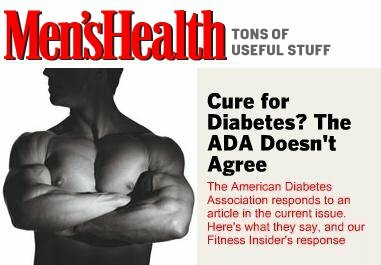 Its time that the ADA reconvene and formalize the clarification between type 1 and type 2 diabetes, rather than by writing unnecessary and unhelpful letters to Men's Health magazine. I'd like to start a letter-writing campaign to the ADA for this, and would ask that if you are interested in supporting this, kindly submit a comment to my blog below. (Note: all comments are moderated, and may not appear immediately) Thanks! I completely agree with you Scott! I hate defending myself to people who say, "man did you have sweet tooth as a kid?" This is so absolutely correct. Thanks for the info and I will definitely be willing to write a letter to the ADA. Brilliant post. Sign me up as a supporter and letter-writer. I think part of the public's ignorance about the differences between type 1 and type 2 diabetes is the kind of messages in the news about type 2 and the lack of distinction made in those articles. there is also , quite frankly, the general 'dumbing down' of society regarding science and medical issues beyond those that make news-selling headlines, like bird flu or the obesity epidemic. The ADA doesn't really help, but not all of the blame for public ignorance lies on that doorstep. I fell, sometomes, as if I'm a walking, talking information kiosk on the difference between my disease and what a person's grandmother might have had in her dotage. I've been toying with the idea to get some T-shirts printed up outlining the top 5 things type 1 diabetics want people to know, but I doubt that the necessary information would fit on the average shirt and I find that when I try to explain things, people's eyes glaze over after about two minutes. I think. sometimes, the public just doesn't really want to know, nor does it really care. You're absolutely right when you say that the public doesn't really want to know, nor does it really care. That's one reason I believe the names should be changed, the confusion is being created by the fact that two conditions with unrelated etiologies share a common name. No other "disease" family has this issue; think for example about what are collectively referred to as inflammatory bowel diseases ("IBD"), yet no one would ever assume that Chrohn's Disease was the same thing as Ulcerative Colitis. Because of the acronyms, people do confuse IBD with with irritable bowel syndrome ("IBS"), which is a troublesome but much less serious condition. Still, when all is said and done, I think the names for type 1 and type 2 diabetes were from a time when medicine did not really know the difference, but that has changed and therefore it may be appropriate to consider changing the names of these diseases. That is an area where the ADA holds 100% responsibility. Personally, I favor immune-mediated diabetes mellitus to replace type 1 and insulin-resistance mediated diabetes mellitus to replace type 2. I had another post on the topic of names, but interestingly, a doctor recently wrote to the journal Diabetes suggesting the same thing, just for different reasons.